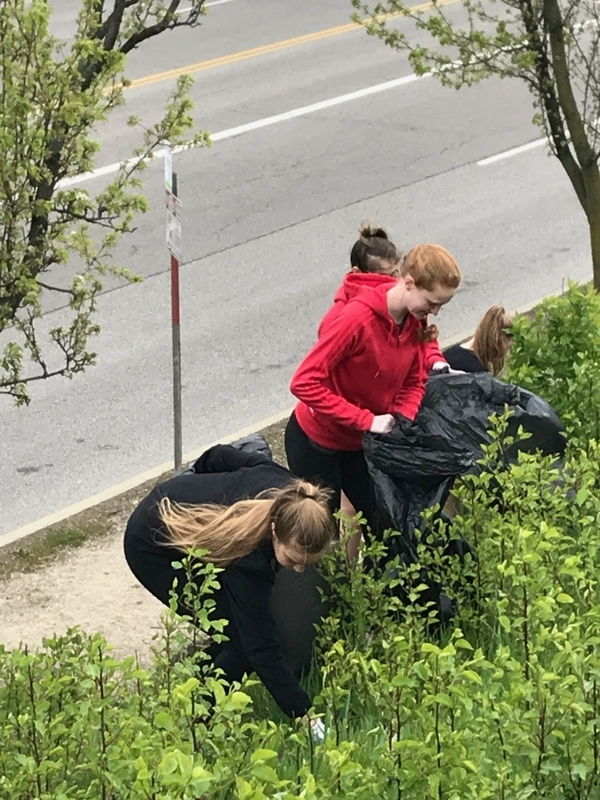 There's a new community service club at the high school with a mission to clean up the litter that is collecting on our roadsides and in our neighborhoods. 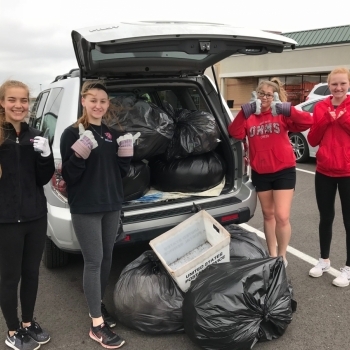 On Saturday 4/28/18, a group of OHHS students and teacher Susan Kallschmidt did litter clean up around our community. They started by cleaning up the wall near Glenway Crossing and then tackled Westbourne Road. Let me tell you! There was A LOT of trash!! 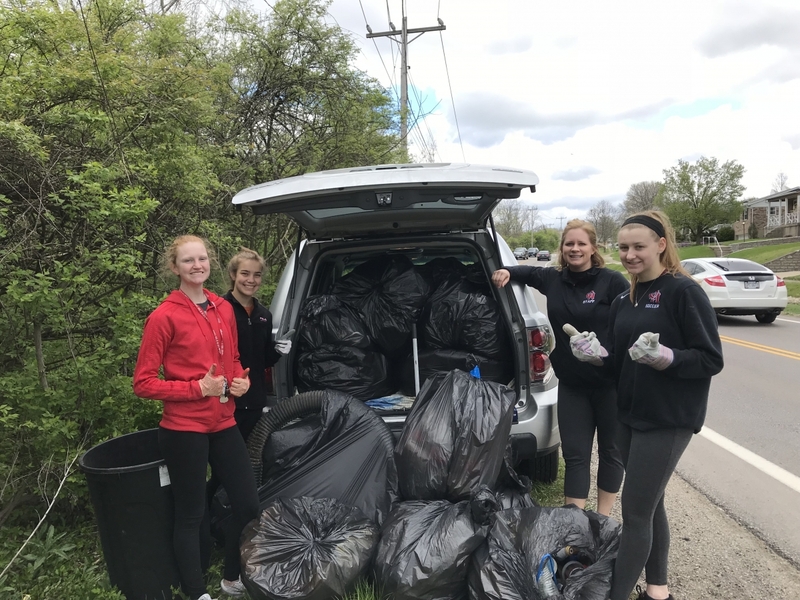 Twenty plus jumbo trash bags were filled with countless plastic and glass bottles, food bags and packaging, cups, aluminum cans, plastic bags, general trash and the like that people toss out their car windows! 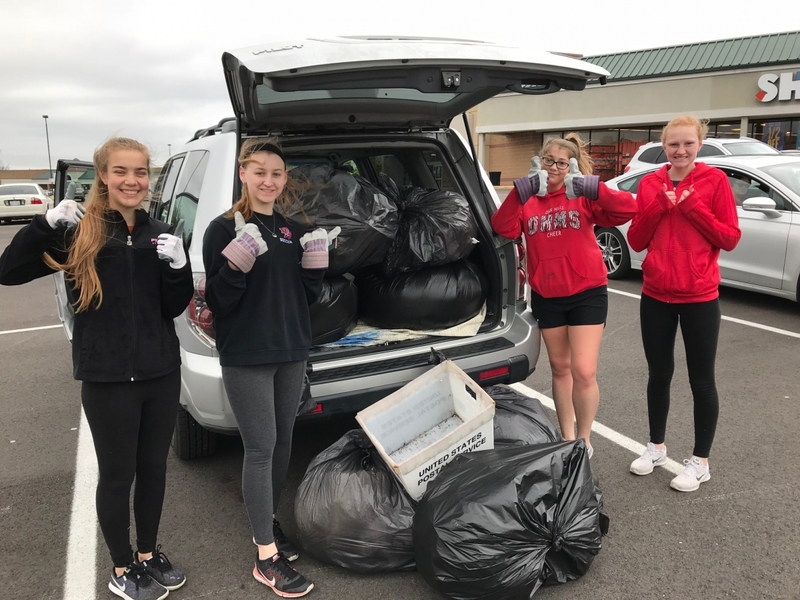 While cleaning up, trash was divided from recyclables allowing the plastic, aluminum, and glass bottles to be properly recycled. 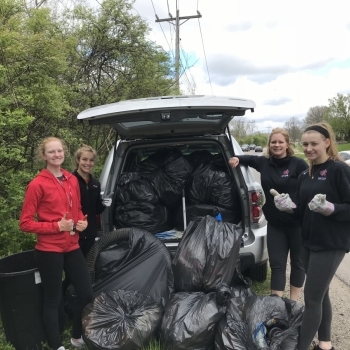 Oak Hills students worked non-stop and were glad to make a difference in their neighborhoods! Thank you to our Principal, Mr. Hunt for providing the needed supplies to get this started! So many community members honked giving a thumbs up. 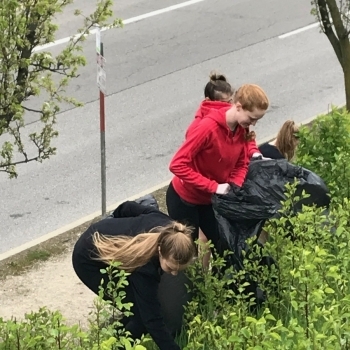 Before the group finished working for the day, someone driving by snapped a quick photo and posted it on Westside Bestside Facebook page where many community members praised our cause!